A little different from my usual content, but I promise I have a literary post planned for next week. I decided to make this post, since the long-awaited Kingdom Hearts 3 is coming out tomorrow (Well where I live, it is). I have mentioned my love for Kingdom Hearts before in a previous post called Things that make me happy. But I didn’t go into the reasons why I adore this series. I have been playing these games for years and I still consider it my favourite game series. Here I’ll list the reasons why I love Kingdom Hearts and if any of this compels you to give Kingdom Hearts a go, I highly recommend it. I am not going to count any of the Disney characters in this, as Disney have amazing, well-rounded characters. For now, Im sticking to the new characters Square Enix created for the series. In the first game, the list of Kingdom Hearts characters was slim picking as Square wanted to put more emphasis on their Disney and Final Fantasy characters. However, as the series has grown, more characters have been added into the mix. 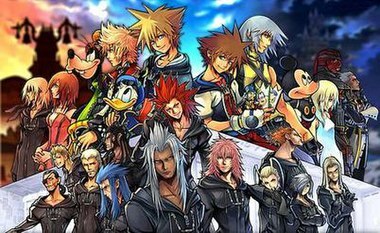 So many of these characters have strong storylines from start to finish, from Riku’s path to darkness to his redemption and the tragedy of Roxas. However, my favourite character in the series has to be Sora, the protagonist. Sora is the most optimistic character I have ever come across. Even through the face of danger and hopelessness, he always keeps his smile. Even one of the characters said that “He is far too nice for his own good.” He fights for the safety of his friends and connects with everyone he meets. He can be naïve at times, but thats part of his charm. He is so optimistic to a fault. But alas, he cant stay like that forever and I am not ready for that. Each character brings something to each instalment and my hopes are that Kingdom Hearts 3 will tie up loose ends with every character. They all deserve happy endings. The Kingdom Hearts plot is one of the most convoluted plots in a video game series. Any Kingdom Hearts fan knows the struggle of attempting to tell a friend about the series. But besides all that, I love the plot of Kingdom Hearts. Each instalment brings its own addition to the bigger picture. It can get confusing when you try to think of the different timelines and how everything connects, but I love the built up lore that Nomura has created for these games. My favourite plot in the series is Kingdom Hearts 2. There is so much tragedy, humour and mystery within that instalment. It’s the best game in the series (in my opinion). The reason I love this piece is because it evolves the character theme of Roxas. Throughout the series, Roxas had the most tragic story arc and this piece shows it. This plays the moment Roxas has a stand off with his other self, Sora. Kingdom Hearts 2 plot builds up to this moment of conflict between the two, and as the player, you can feel the sadness within that moment of contact through this score. There are other amazing pieces of music from the games, such as character themes, Simple and Clean, Sanctuary, Dive to the Heart, Missing You etc. Each party member has a particular battle stance. 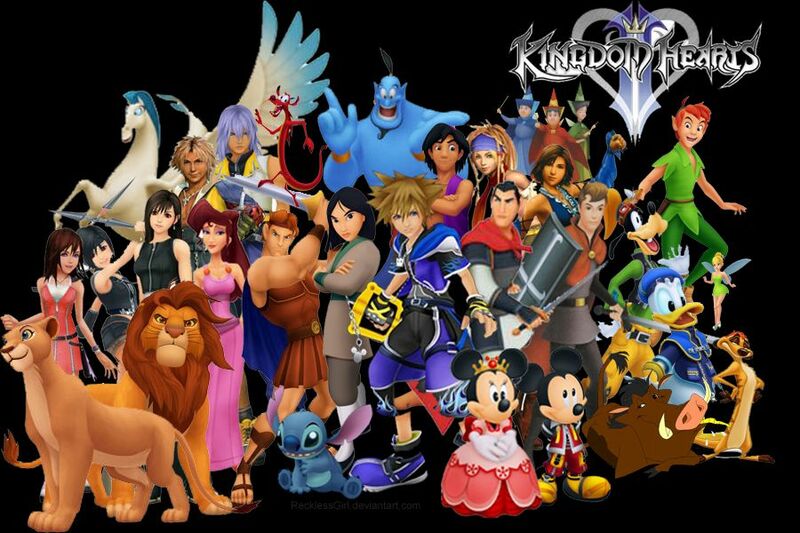 It makes the gameplay enjoyable and gives variety to the different Disney characters in the games. For those of you who dont know what Inception is, the basic plot of the movie, is: A thief who steals corporate secrets through the use of dream-sharing technology is given the inverse task of planting an idea into the mind of a CEO. I saw this film when it first came out in cinema in 2010, and it blew my mind. The concept of dream-sharing technology was fascinating and to see it come to life on screen, was spectacular. The visual effects and the binding of realities in the dreams were beautiful to look at. Christopher Nolan shot this movie remarkably well, and it is my favourite of all his movies. The acting was amazing. DiCaprio was brilliant, but my favourite part of the movie were the interactions between Joseph Gordon Levitt and Tom Hardy in the film. Tom Hardy wasn’t known before Inception, but his presence lit up the screen. A brilliant scene-stealer. Exceptional film. Would highly recommend it. I may have mentioned this film in a previous post. Clouds of Sils Maria is about, a film star comes face-to-face with an uncomfortable reflection of herself while starring in a revival of the play that launched her career. This film is more slower-paced than Inception, but remains remarkable. The only reason I watched this film in the first place, was for Kristen Stewart. The films slow-paced narrative, made me hate it at first. But the acting and the inner conflict of the story kept me there. The interactions between Juliette Binoche and Kristen Stewart, kept me engaged and I fell in love with their conflict. The conflict between different imaginative minds brings me back to the many conversations I had with fellow writers. Delving into the meaning of texts, and arguing different interpretations, it was refreshing to see. Kristen Stewart was phenomenal in her role as Juliette Binoche’s personal assistant, and she won the French version of an Oscar, the César award for Best Supporting Actress. 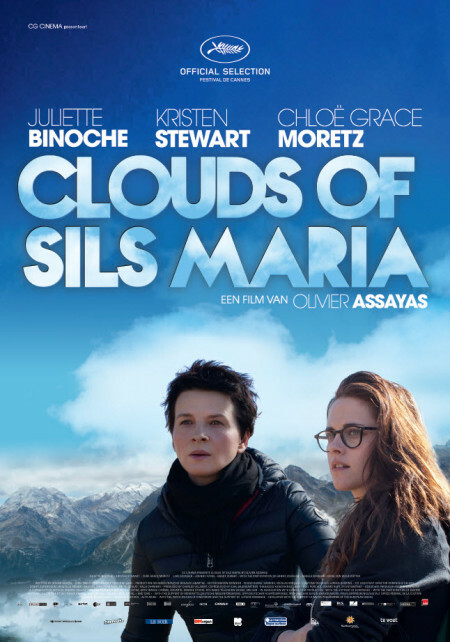 If you’re into slower-paced and artsy films, check out Clouds of Sils Maria. As it probably was for many of you, the Harry Potter films were my childhood. I saw every film in the cinema when it came out. I bought all of the books, films and even owned a Harry Potter wand. I’m still in love with this series as a whole. The creation of the magical world onto the screen, was brilliant to see every year. Moreover, to grow up with the trio from when they were 11 to 18, was very nostalgic, and heart-warming. I love all of the films equally and I couldn’t just chose one film as my all time favourite. But my top favourite Harry Potter films would be Harry Potter and the Prisoner of Azkaban and Harry Potter and the Deathly Hallow Part 1. This film is one of the darker films on my list, but it is a very important film. A Silent Voice is about, a young man who is ostracized by his classmates after he bullies a deaf girl to the point where she moves away. Years later, he sets off on a path for redemption. But none of these films portrayed bullying well on screen. They either have the stereotypical pretty blond girl being the bully or a dump, innocent victim. 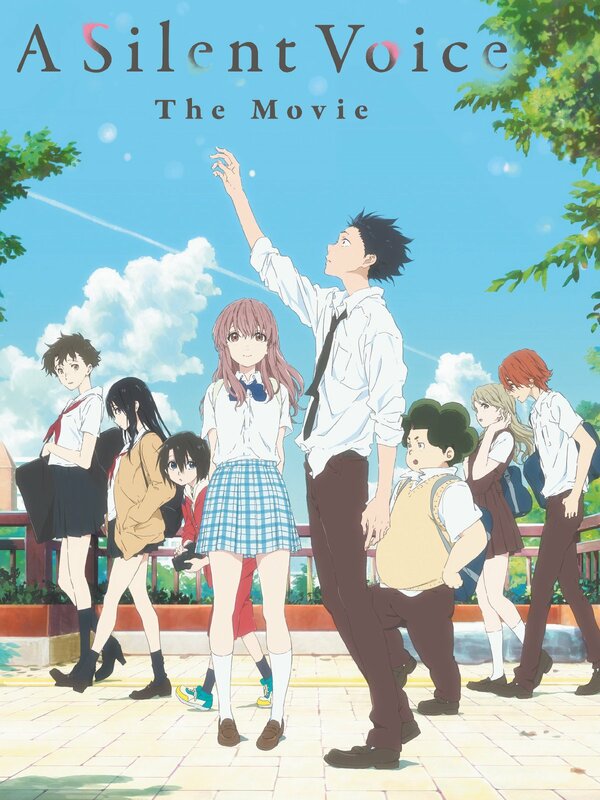 In A Silent Voice, it portrays the dark elements of bullying, such as the effects it can have on victims and abusers. I never have sympathy for bullies, but A Silent Voice puts you in the shoes of a person, who tormented an innocent person and attempts to make things right. 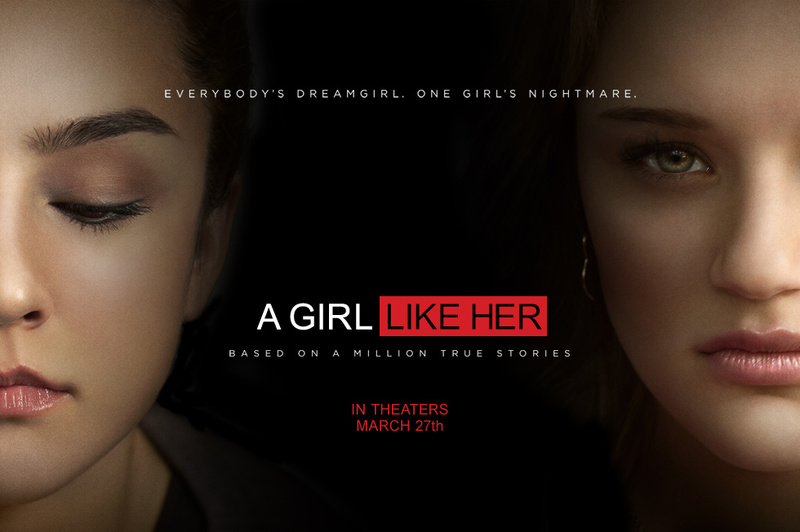 This film portrays bullying honestly, in a way that shows the many sides of these tragic events. Everyone plays a part in some shape of form to these horrific events, but no one speaks up. I’m going to make a blog post about this film, as there is so much to discuss around this film. But I highly recommend you watch it. It’s an emotional rollercoaster, but it’s worth the tears. It may not be for everybody, but I loved this film. How to Be Single is about, a group of young adults navigating love and relationships in New York City. I thought the characters and storylines were really funny. Rebel Wilson was comedic gold in this film. I related to quite a few situations in the movie, and that kept me engaged throughout. Also, I really want an apartment similar to Dakota Johnson’s one in this film. It was so quant and solitary. 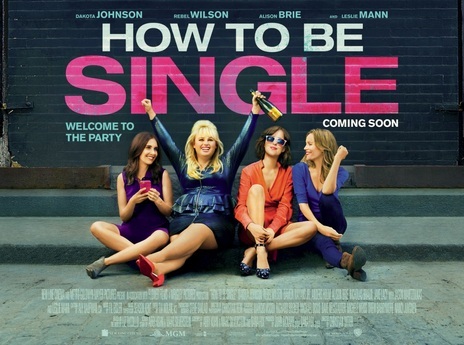 It’s just a fun movie and if you love fun, comedic films, check out How to Be Single. It was a fascinating take on the history of Facebook and its creation. David Fincher made a really smart film, and brought together an exceptional cast that brought the characters to life. I never knew about Mark Zuckerburg until I saw the film. I was so fascinated by Facebook’s history, that I wrote a history paper on it. I analysed statements from the real Mark Zuckerburg and his opinions of the films. The film is brilliant, if you take it as entertainment. There is some factual information provided in the film, but not enough to call it a reliable source. Also, Jesse Eisenberg’s performance as Zuckerburg was brilliant. The intro to the film never fails to amaze me. 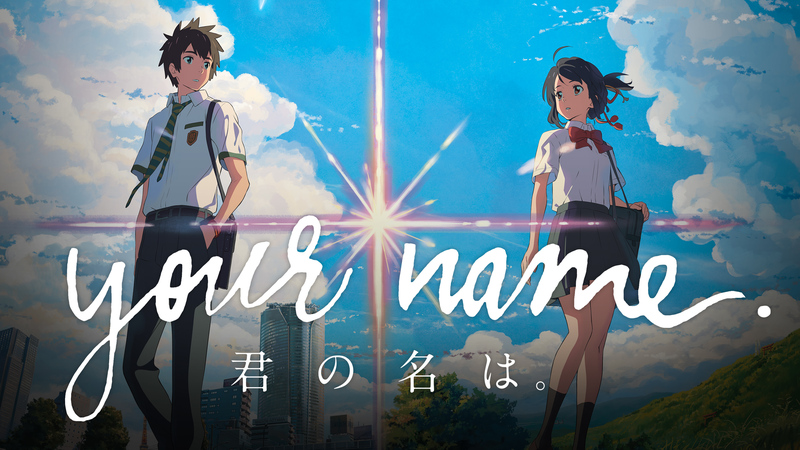 Your Name is about, a teenage boy and girl who embark on a quest to meet each other for the first time after they magically swap bodies. It may seem like a stereotypical swapping bodies story. But it has so much more attached to it. Its hard to explain without spoiling it, but this film portrays a beautiful love story, about honest connection and longing. The look of the film is breath-taking. The director, Makoto Shinkai, creates amazing sceneries that brings you to the urban look of Tokyo to the scenic backgrounds of Japan’s countrysides. Moreover, the music is phenomenal. Your Name wouldn’t be Your Name without Radwimps (the band who composed the soundtrack). Listening to their songs on their own is fine, but they work seamlessly with the film. Its a masterpiece. It became the highest grossing anime film in the world, surpassing Spirited Away. I advise you check it out. You wont regret it. I love all of the films, but Dead Man’s Chest has a special place in my heart. After The Curse of the Black Pearl, I was dying for more pirates. And I got it in the form of Dead Man’s Chest. It was bigger, the action scenes were better, and the trio were back. It was a treat of a movie, and a great way to continue on the story. I loved Elizabeth Swann in this film, as she threw away the corset and picked up a gun. Instead of standing back, she became part of the action, which I preferred. I began to adore her as a character in this film, before she became the Pirate King in the final film in the trilogy. The locations were fabulous and the humour still amazing. 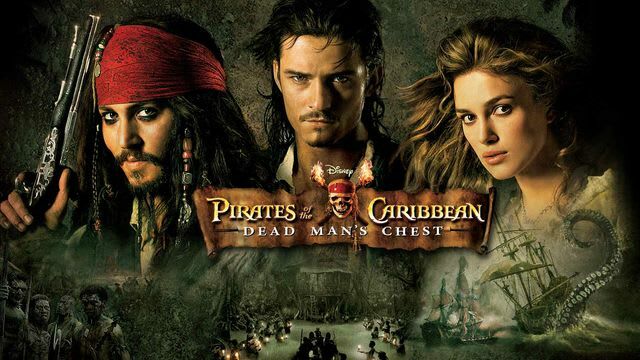 This movie in the franchise will remain my favourite of all the Pirates films. Another Kristen Stewart film, of course. Personal Shopper is about, a personal shopper in Paris refusing to leave the city until she makes contact with her twin brother who previously died there. Her life becomes more complicated when a mysterious person contacts her via text message. This film is very haunting and beautifully shot. This is the best performance Kristen Stewart has ever given. The film questions the concept of the afterlife and communication with ghosts. When Kristen Stewart’s character starts getting texts from an unknown number, you wonder whether its her dead twin brother, another ghost or something more sinister. Its another slower-paced movie, but worth the watch. My favourite part about the film is the use of texting to tell story through the medium of film. I dont know why, but I love it when movies base their storytelling actions on our modern-day technologies, such as using messenger, texting, Facebook or Skype. Another film that does this is Face 2 Face, where the film is strictly through Skype calls or facetime. If you havent heard of The Lord of the Rings, you have must lived under a rock. 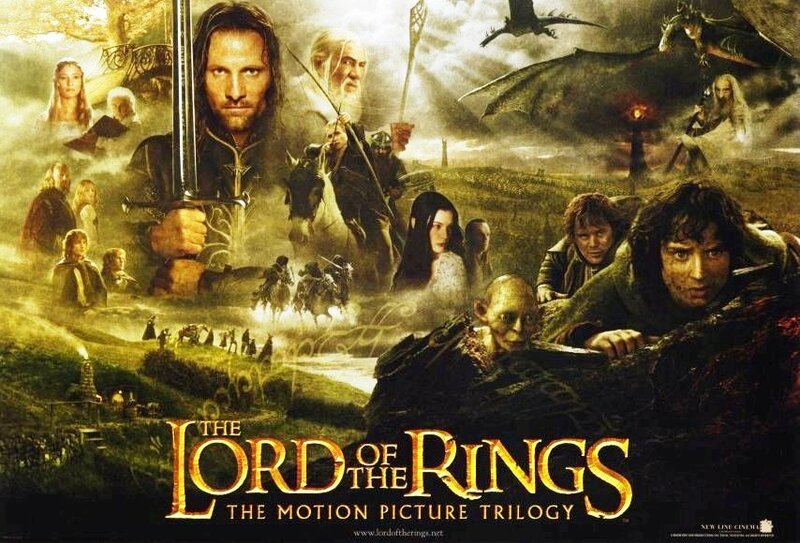 Set in the fictional world of Middle-earth, the films follow the hobbit Frodo Baggins, as he and the Fellowship embark on a quest to destroy the One Ring, to ensure the destruction of its maker, the Dark Lord Sauron. This trilogy was directed by the master, Peter Jackson and it became one of the highest grossing film series of all time. Its final film, The Return of the King won 11 of its Academy Award nominations, including Best Picture. This film series had a massive impact upon its release and they are still praised to this day. It was The Lord of the Rings that got me into movies. I love the scenery of these films, which was shot in New Zealand (on my bucket list to go there). The acting, the story, the lore, just everything about it I love. Even years after first watching them, I still adore the films. If you havent seen them yet, I highly recommend them. Its a high-suspenseful fantasy with action, romance, friendship and loyalty. A great film to sit back and watch on a quiet Friday night. And there you have it. Those were my top ten favourite movies. If you havent heard of any these, check them out. You wont regret it. My soul remains with literature and writing, but film will always have a special place in my heart. In recent years, it seems a common thread has disappeared, the use of a pen to paper. As a writer, I used the traditional way of creating my stories, with a notebook and pen. It was the conventional way to write novels and poems. However, I have seen more and more times where writers have exchanged the use of a pen for typing on a laptop. Whatever works for you when it comes to writing your work, go for it. But I do feel like we have lost touch with the traditional ways of writing with the new use of technology. Recently, I went to a March event with Stanzas. Stanzas is the writing group I go to every month where you share your works with many people (more info about Stanzas in my previous posts). Anyway, I went to a Stanzas event, and I remember someone going up to the mic and saying they had written down their poem instead of on their phone. It has become a standard thing in Stanzas with people having their stories/poetry written on their phones, and they speak through the microphones with their eyes glued to their phones. Even one of the head of Stanzas mentioned this at one of the events. It was nice to see someone read from paper instead of reading off a tablet or phone. It is the same with reading. More and more people read books on Kindle or online, instead of just holding a book in their hands. and many more. Technology is a part of our psyche as a community. We use it to communicate our thoughts and emotions and to connect with others. It is a valuable tool for the new wave of storytellers. That is a very interesting evolution foir writers and civilization in general. However, I will always prefer my pen to scribble my ideas on paper before I use my computer or phone. What do you guys think? Are you an old-fashioned writer like me or do you write all your stories on your technological devices?